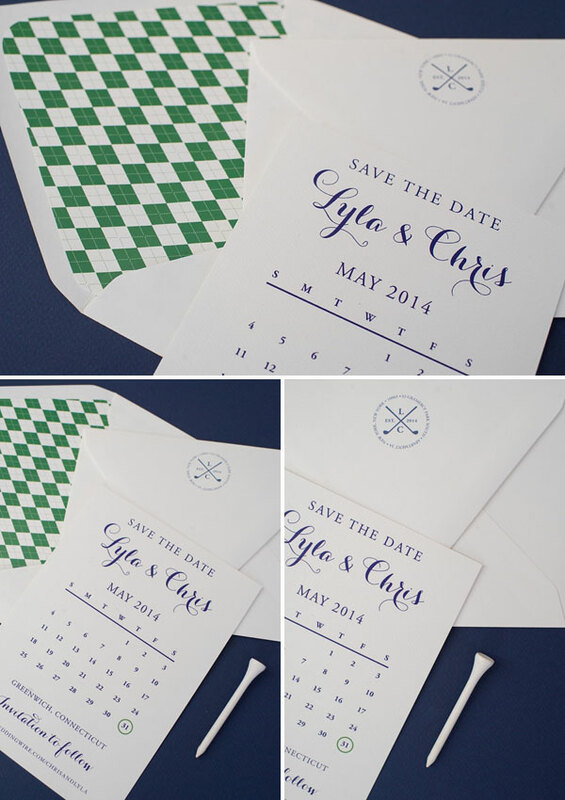 Today’s clever invitation crush comes to us from Roseville Designs, who created these fun and preppy, golf-themed save the dates for Lyla + Chris’ upcoming country club wedding. Lovin’ that gorgeous, green argyle envelope liner! Lyla + Chris are having an elegant and preppy May wedding in Greenwich, Connecticut. They love golf and, since their wedding weekend will be hosted at a country club, they wanted to tie that into their design. I created a custom “monogram” with golf clubs that can be used as a motif throughout their wedding paper story. Here, we incorporated it as part of the return address on the envelope. 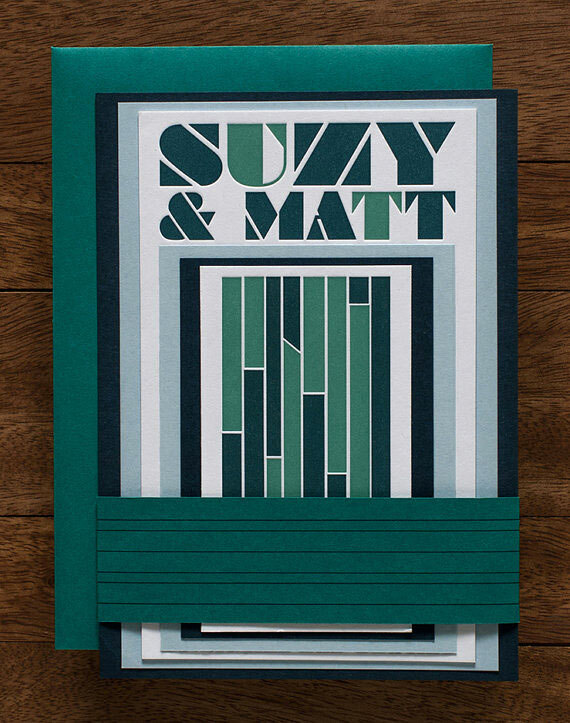 For the actual save the date, I went for a classic calendar look, which we had flat-printed on textured felt stock. The final touch (and my favorite detail) is the bold argyle envelope liner, which pairs nicely with the elegant look of the actual card. 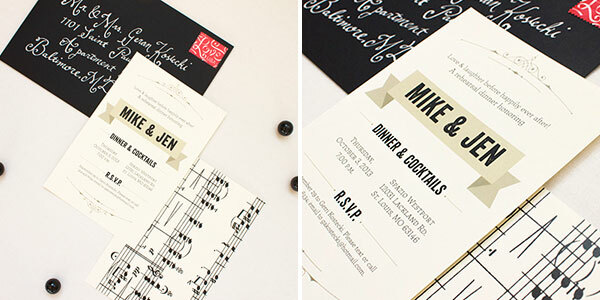 You can check out more of Roseville Designs’ wedding invitation designs right here. 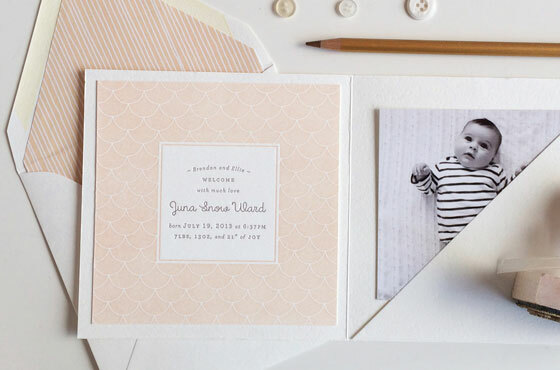 I’m completely crushing on the darling new baby announcement collection from Hello Tenfold. 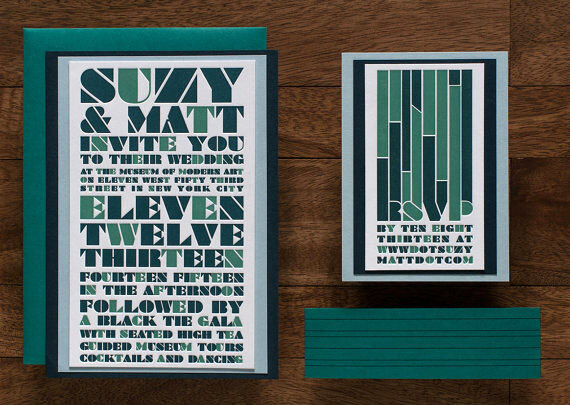 The beautiful, modern designs in the collection feature understated pattern and color, beautiful typography, and can be customized with your text, photo, and colors. 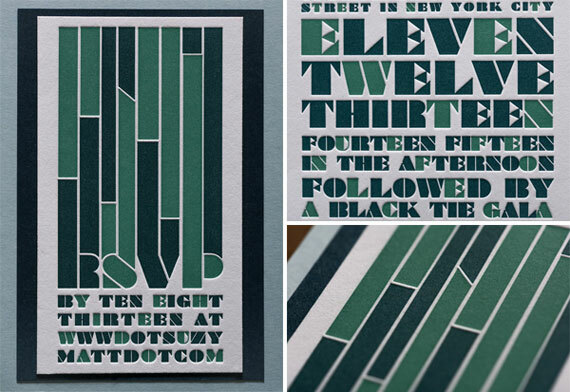 Designs can be flat printed, letterpressed, or sent to you as printable PDFs so you can print them locally or at home. 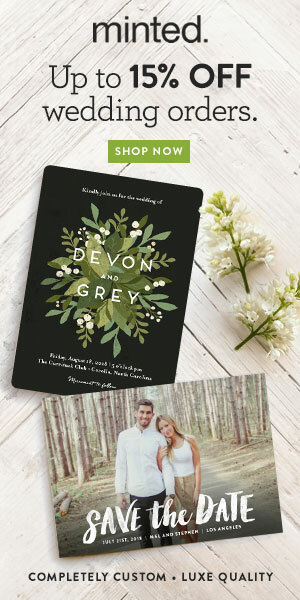 It’s a new year, and that means oodles of new, crushtastic invitation designs. Woohoo! 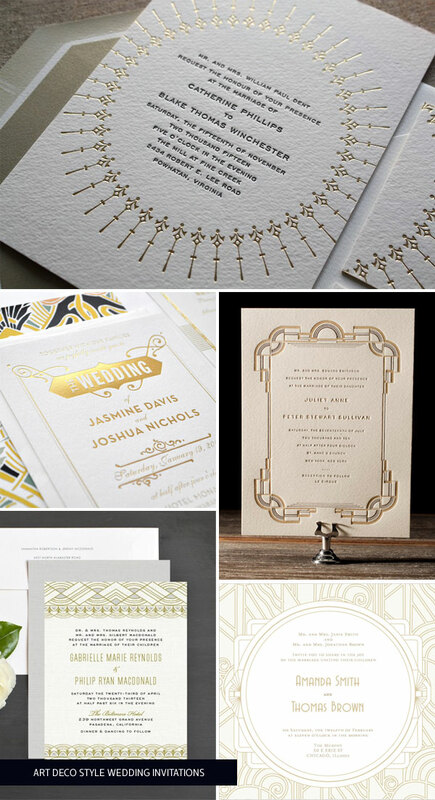 I had so much fun putting together the Glittery Gold Holiday Party Invitations post last week that I thought I’d go a little further with the golden trend and put together a collection of gorgeous, Art Deco style wedding invitations that feature either gold foil stamped or gold-inked elements. 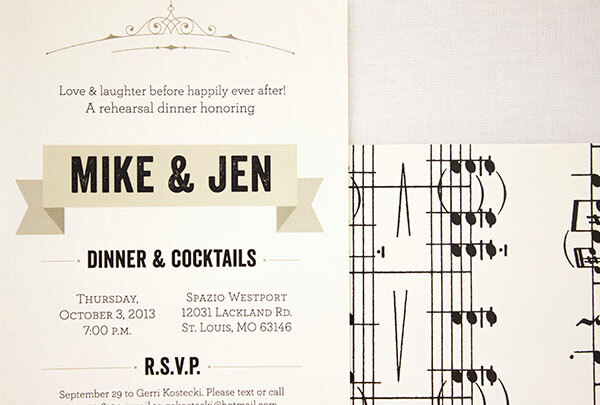 These Jazz Era-inspired designs are perfect for couples looking to add a little 1920s flair to their wedding celebrations. 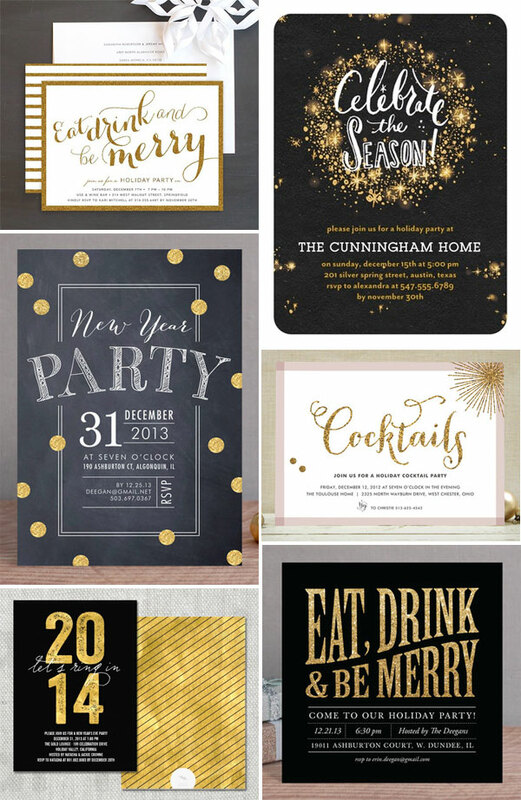 All that’s golden and glitters is hot, hot, hot this holiday season, and these sparkly, gold glitter-look holiday party invites will certainly add more than a little dazzle to your Christmas and New Year parties this year. 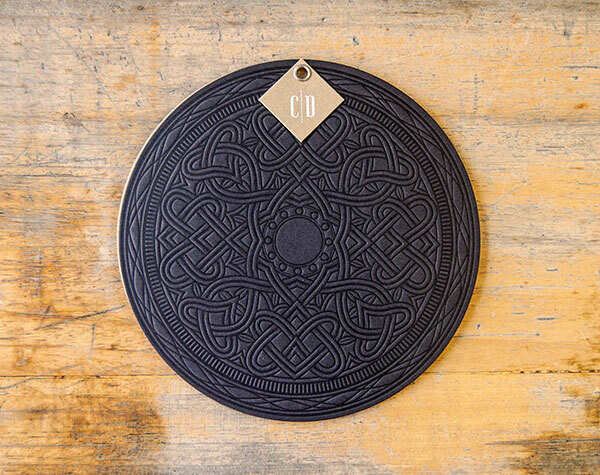 And what goes better with gold than rich, sophisticated black and pure, chic white? This post contains affiliate links. If you purchase through these links, you’ll help Invitation Crush, and you’ll receive pretty, glittery holiday party invitations, too. Yay! 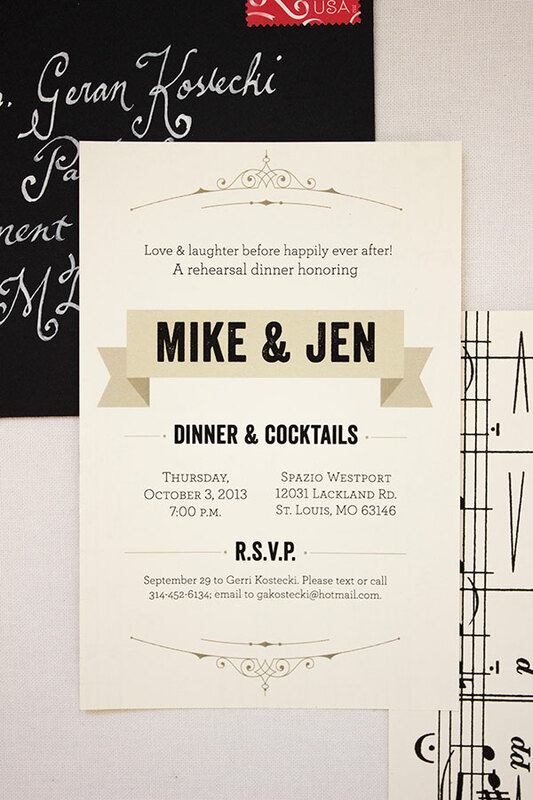 Jen Simpson Design is gearing up for the 2014 wedding season with the launch of several new wedding invitation designs, which include plenty of whimsical and rustic touches. Details include lovely, hand-lettered fonts, sweet flourishes and botanical illustrations, and preppy emblems that cover a range of styles. 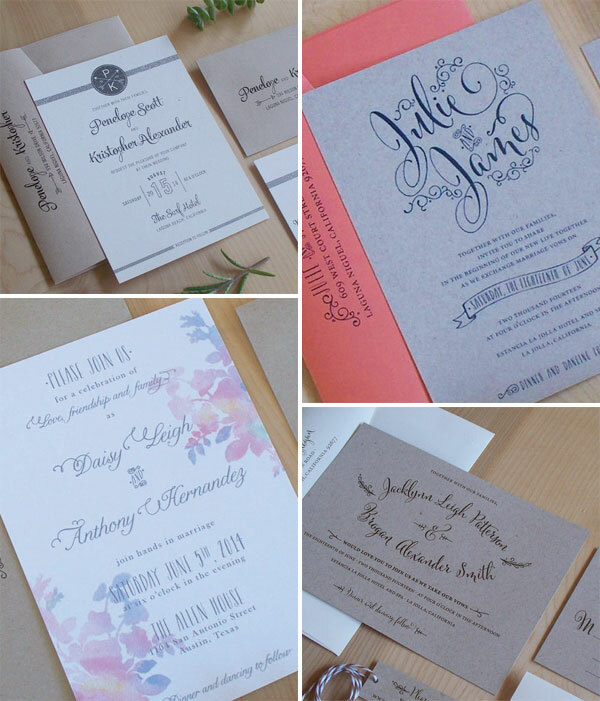 Versatile kraft cardstock also plays a role in a number of the new designs – love me some kraft! 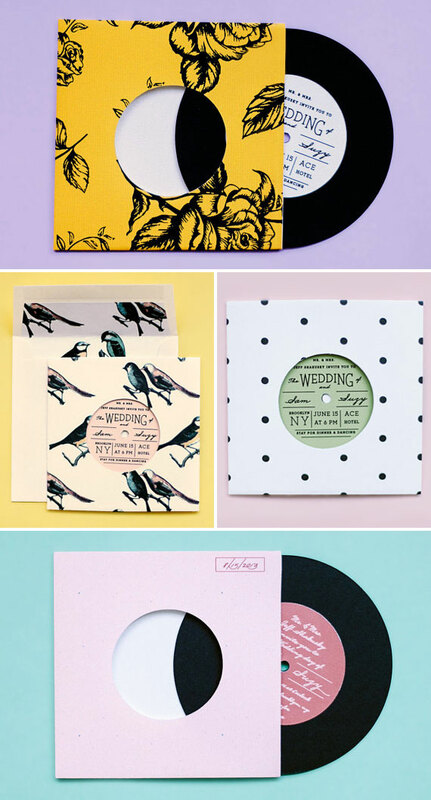 Here’s a peek at the new styles, and you can find additional images, and plenty of additional wedding invites, over in Jen Simpson’s shop. 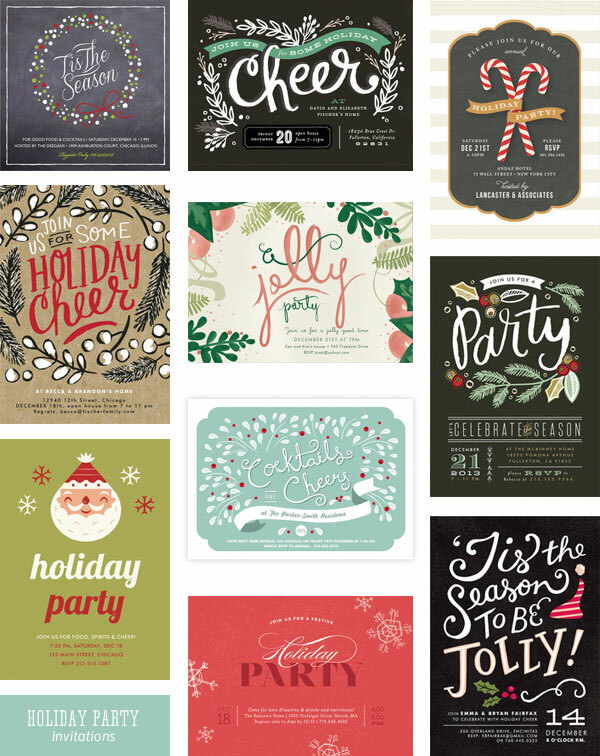 If you’re planning on throwing an unforgettable holiday shindig this year, then this new collection of festive holiday party invitations from Minted may be just what you’ve been looking for. The modern party invites feature all things ho-ho-hot this holiday season, including beautiful hand lettering and sweet, simple illustrations that are the epitome of holiday cheer. 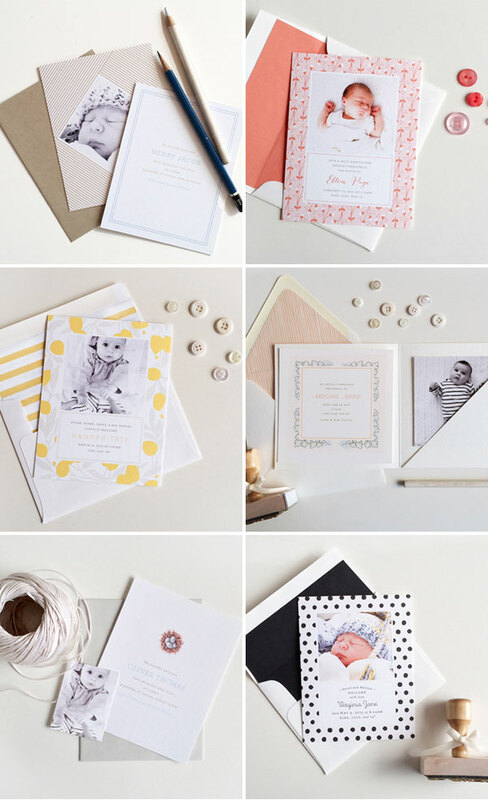 Below are some of my favorites, and be sure to check out all of the wonderful designs at Minted. This post contains affiliate links. If you purchase through these links, you’ll help Invitation Crush, and you’ll receive some festive holiday party invitations, too. Yay! 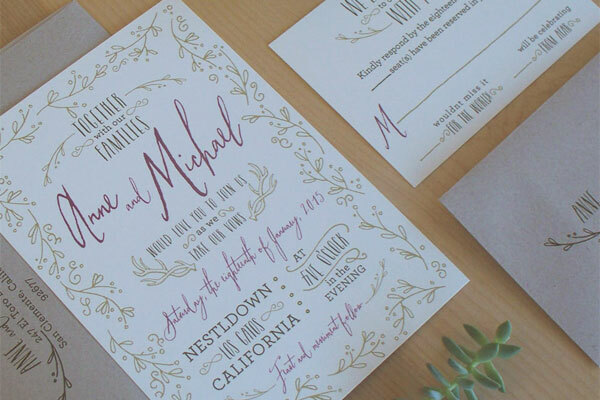 I always look forward to seeing new projects in El Calitopo’s stream, and these amazing letterpress rosette wedding invitations caught my eye immediately. Completely crushable, no? 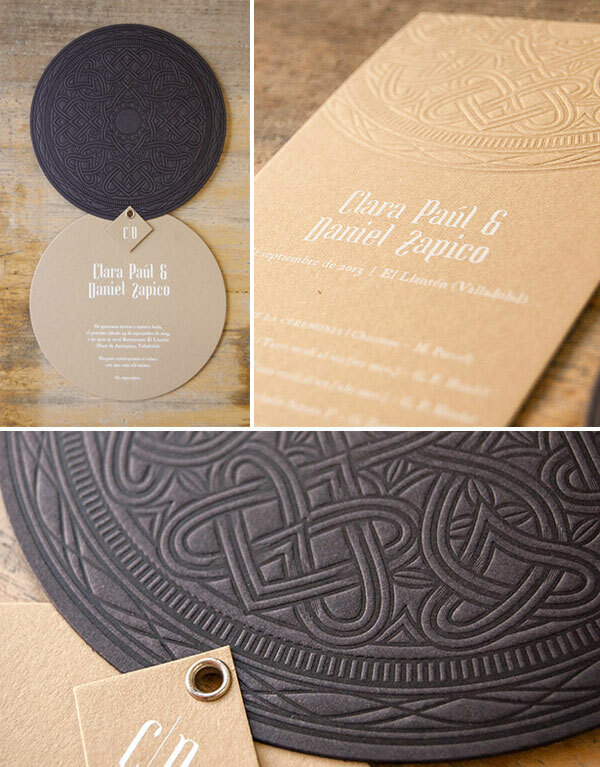 The beautiful, ornate design was inspired by the geometric shapes and lovely curves of musical couple Clara & Daniel’s instruments, specifically a rosette detail that features an intricate, knotted design which translated perfectly into a unique, revolving circle invitation that holds the rosette front, the wedding invitation, and an information card. Coordinating table numbers and cards with the names of the musical selections that were played during the ceremony were also created as a part of this unique and lovely suite.